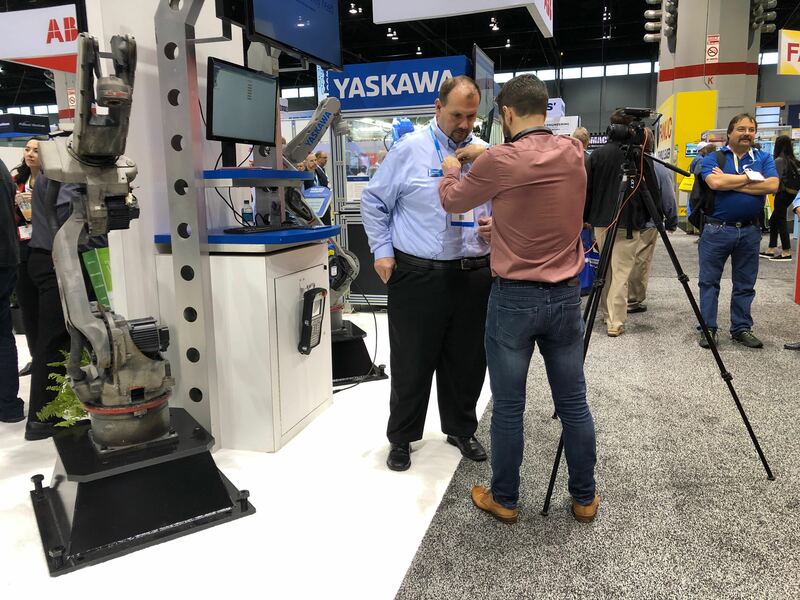 And then we got down to work! 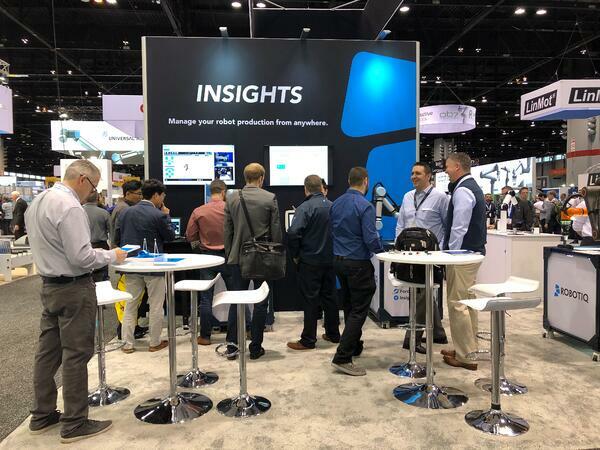 One of the most popular attractions at our booth (#7165) today was the open demo of our Insights software. 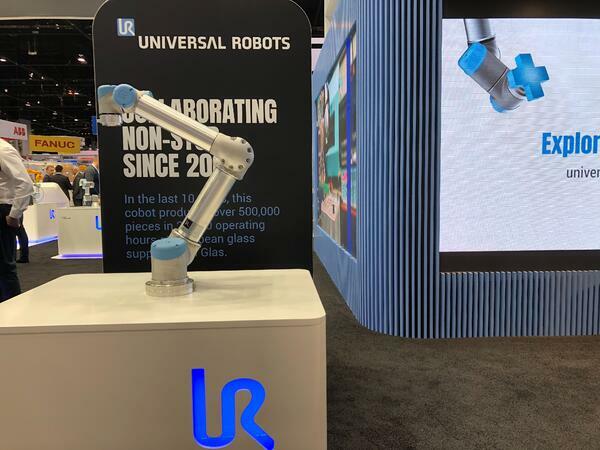 Insights enables you to remotely monitor and control cobots from Universal Robots on any device at any time. 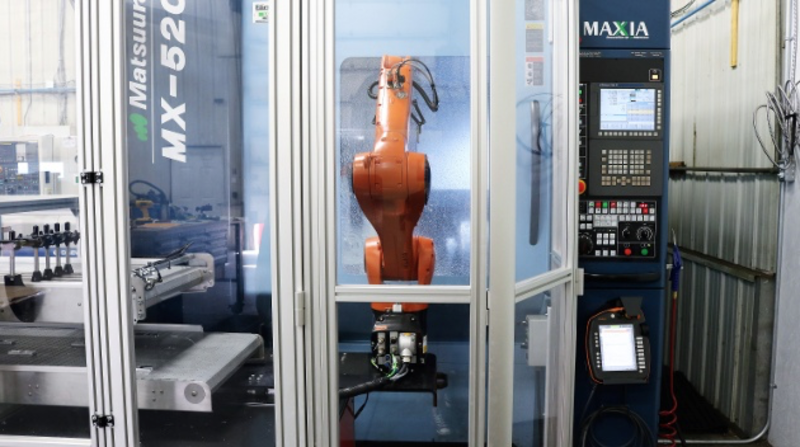 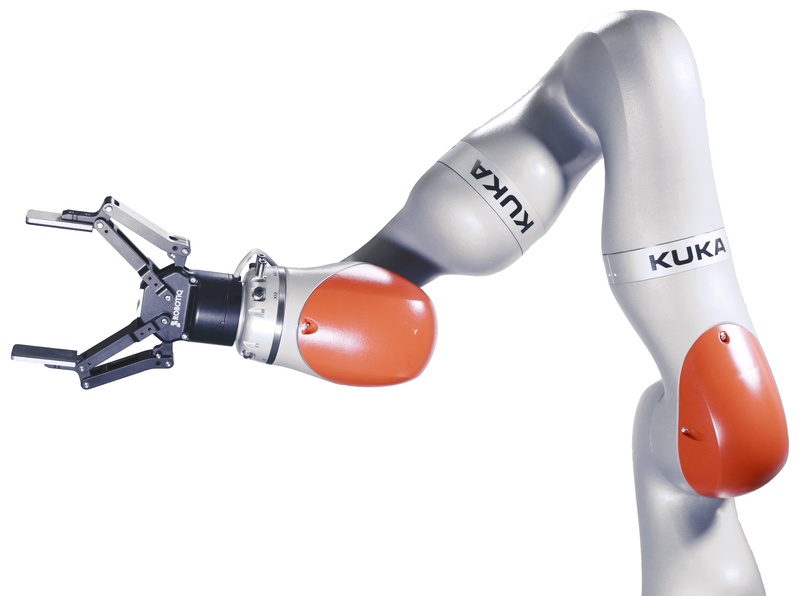 This provides peace of mind to those responsible for smooth operation of manufacturing facilities by enabling them to remotely take control of their cobots and troubleshoot any issues that arise. 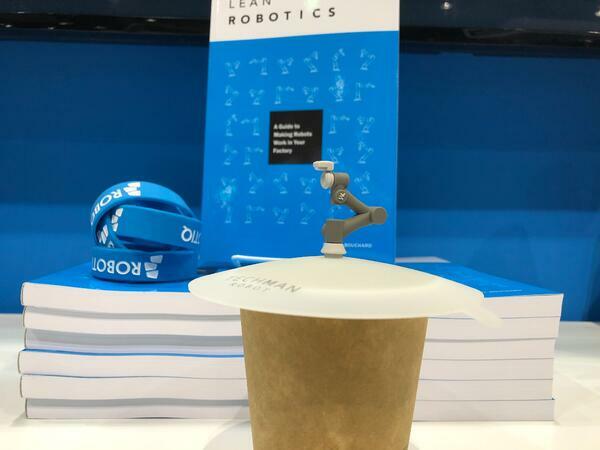 ...and Robotiq Sanding Kit in person. 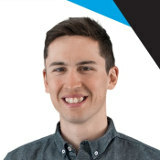 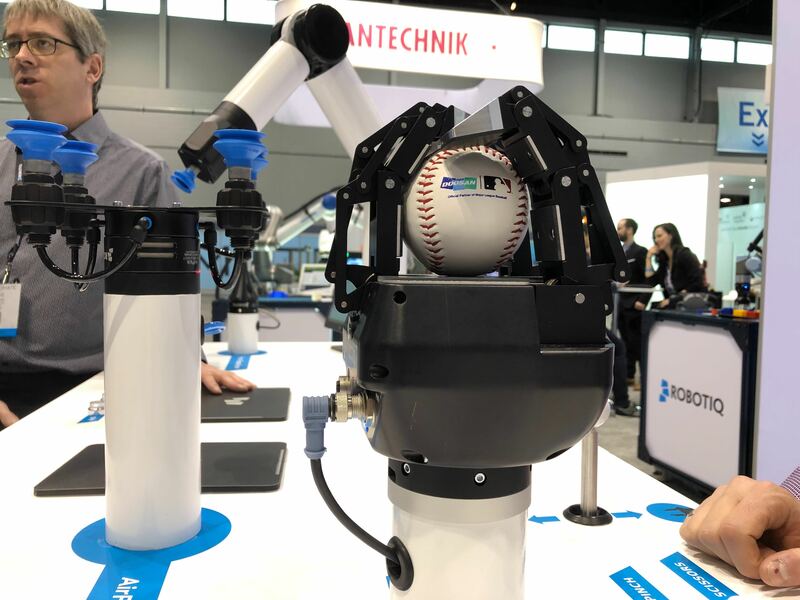 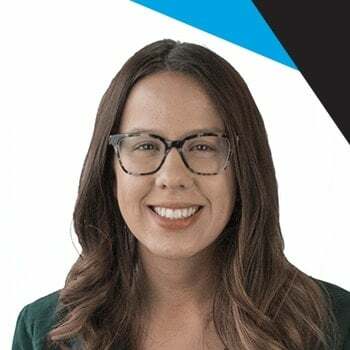 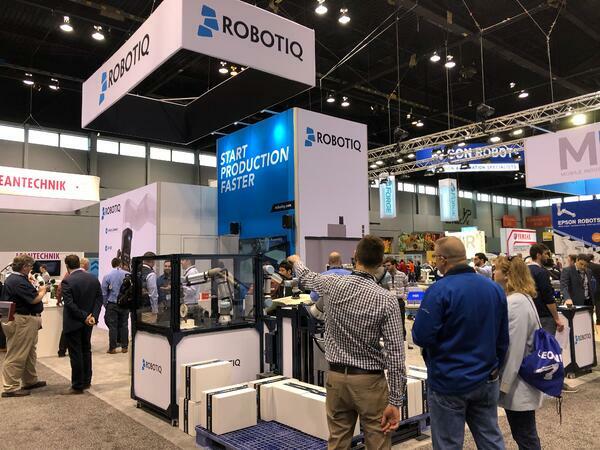 For the full lowdown on Easybot (and video) see: "Discovering cobot history at Automate 2019!" 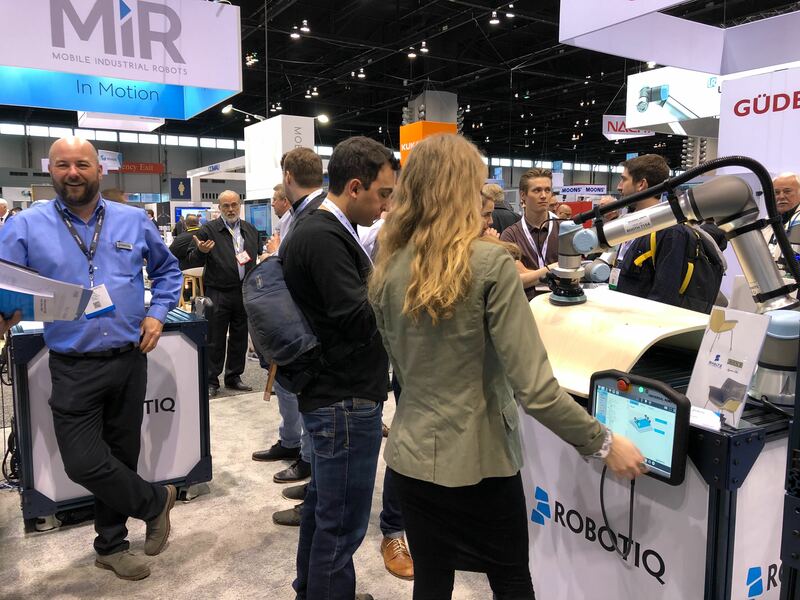 Join us tomorrow for more updates from Automate 2019, including important info regarding Robotiq's compatibility with top cobot brands!